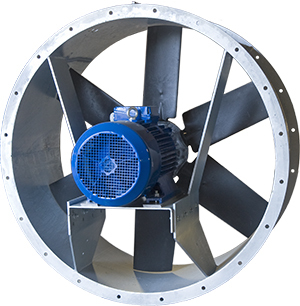 Tornum Axial Fans are primarily used as suction fans in continuous dryers, but can also be used as conditioning fans in our LT conditioning bins. 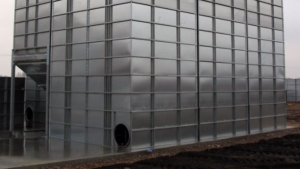 The chassis is made from heavy hot-dip galvanized sheet steel and is available in three diameters – 500, 630 mm and 1130 mm – and with a number of outputs between 2.2 and 22 kW. When installed on a dryer, we recommend adding a silencer to reduce external noise levels. 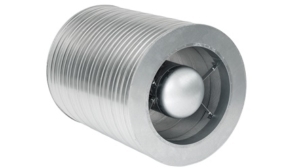 • Fan dampers are available as accessories. 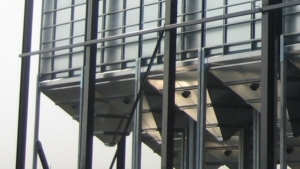 The double damper design ensures better performance than conventional designs. • Ø 500 mm and Ø 630 mm sizes have one-piece cast aluminium impellers, while the Ø 1130 mm size has plastic blades on an aluminium hub. The table applies to air with a density of 1.2 kg/m³ at 20°C. 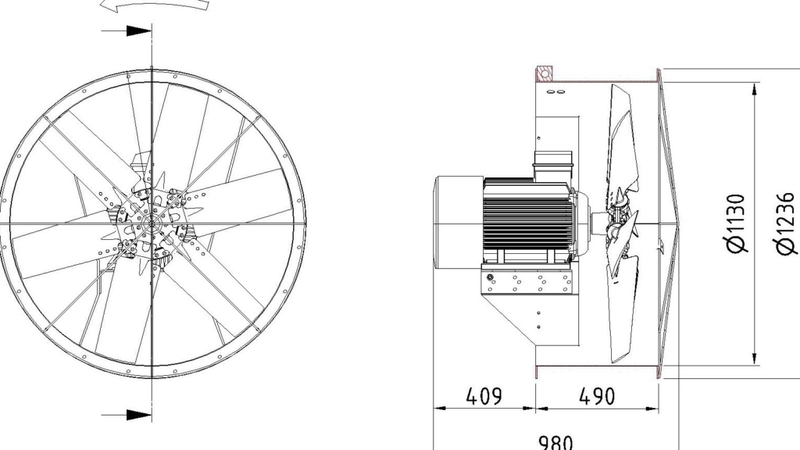 Contact TORNUM for information regarding smaller axial fans.